 The professional staff of KOKO Lahti has years of experience and they will create any event, even the demanding ones. Personal service is a guarantee that the event will fulfil the customer's wishes and expectations. The first-rate premises provide an inspiring environment for meetings, large trade fairs, memorable concerts and festive galas. The Piano Pavilion, an enchanting waterfront venue, boasts great wood architecture by the lake next to Sibelius Hall. owned by City of Lahti.